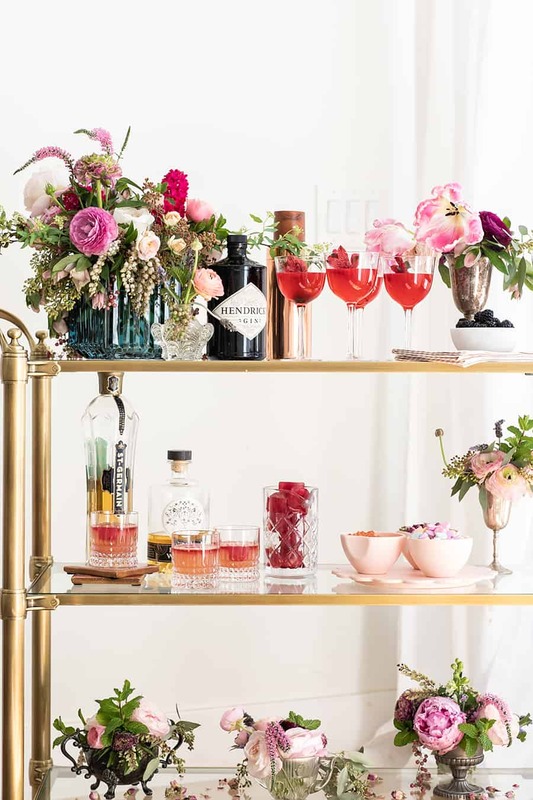 Learn how to set-up your own gin and flower bar that’s perfect for engagement parties, Valentine’s Day, bridal showers and weddings! 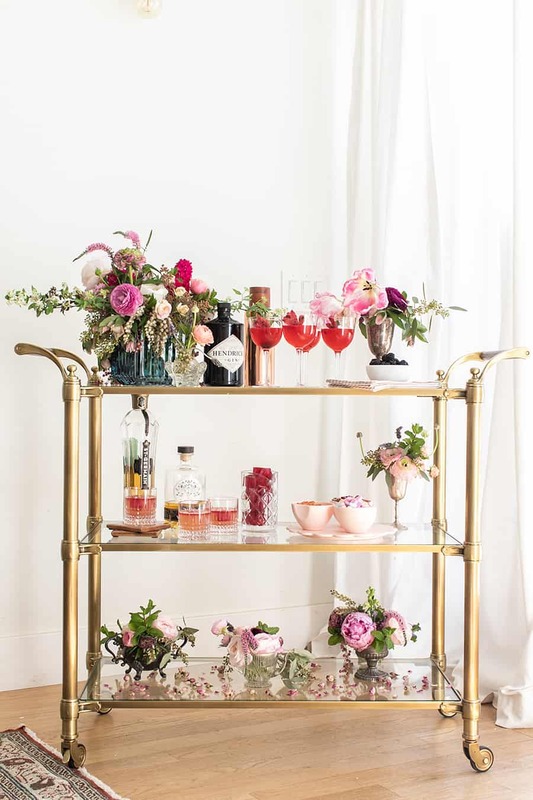 Every event or dinner party needs some sort of cocktail station. 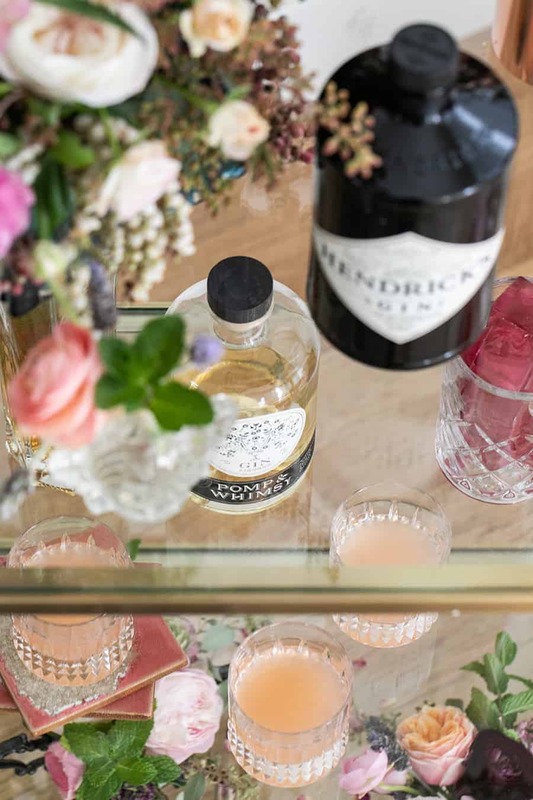 We love the idea of a gin bar, serving a few delicious, floral gin cocktails and having mini flower arrangements for guests to take home. Since gin and flowers go so well together, this station came together easily and looks so romantic! Before guests arrive, pour the cocktails in the glasses. Serving a cocktail in a coup is a nice idea, since you don’t need to worry about ice. 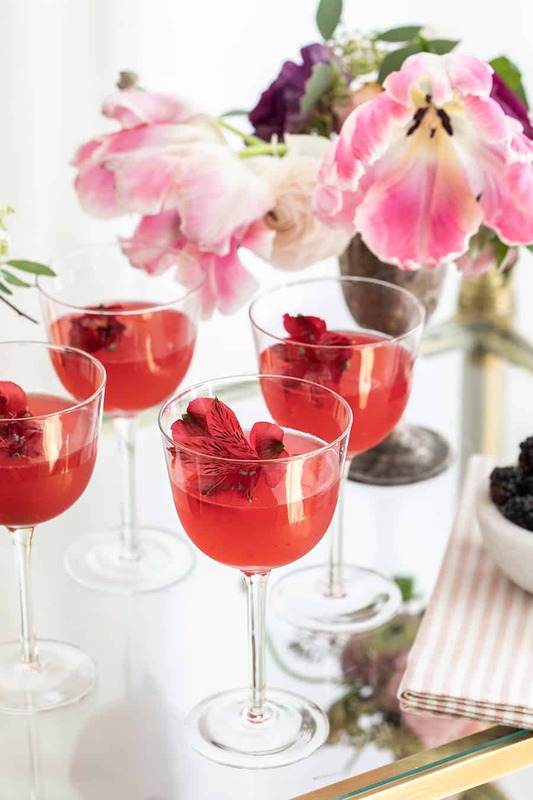 Just shake the cocktail with ice, then strain into a coup and garnish with a flower. 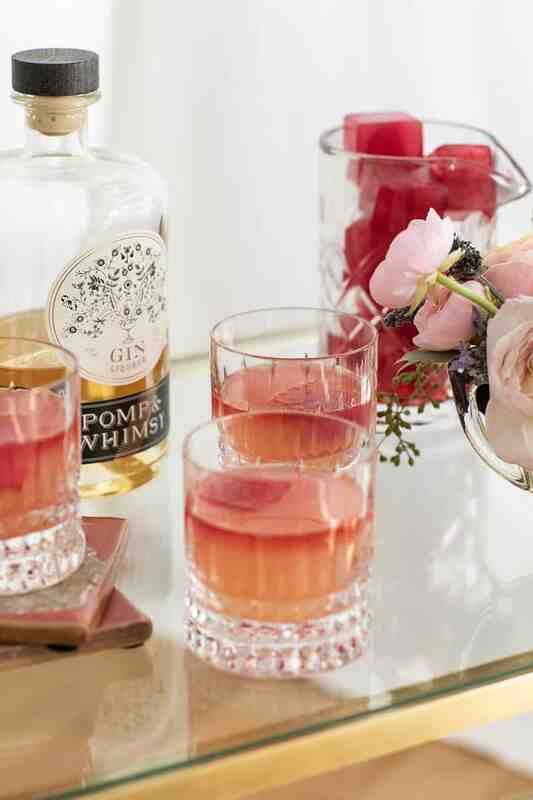 This recipe for this floral gin sipper is below. It’s made with blackberries, gin, lemon juice and a homemade lavender simple syrup. There are several gins available, so pick a few of your favorites to add to the bar. 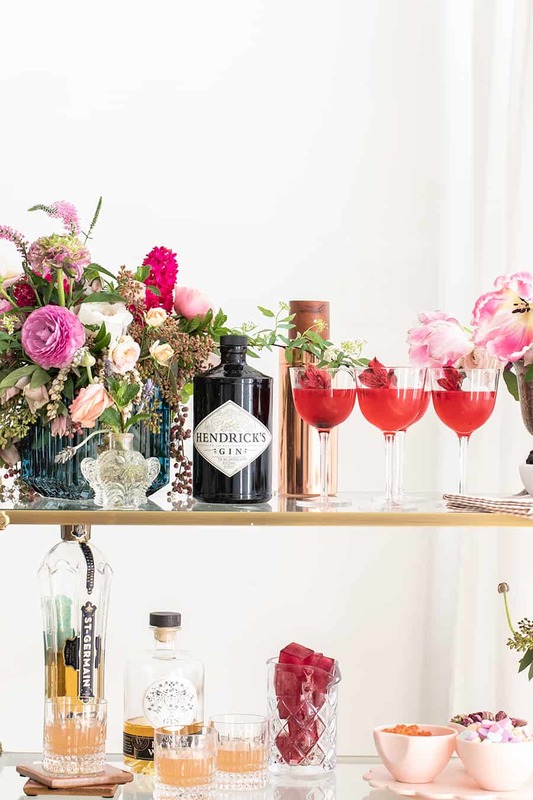 We used Hendricks which has floral notes and one of our favorite gin liquors Pomp & Whimsey. 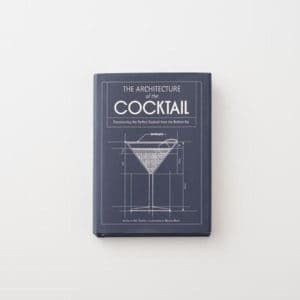 You can make the Whippet Cocktail, which is very easy! 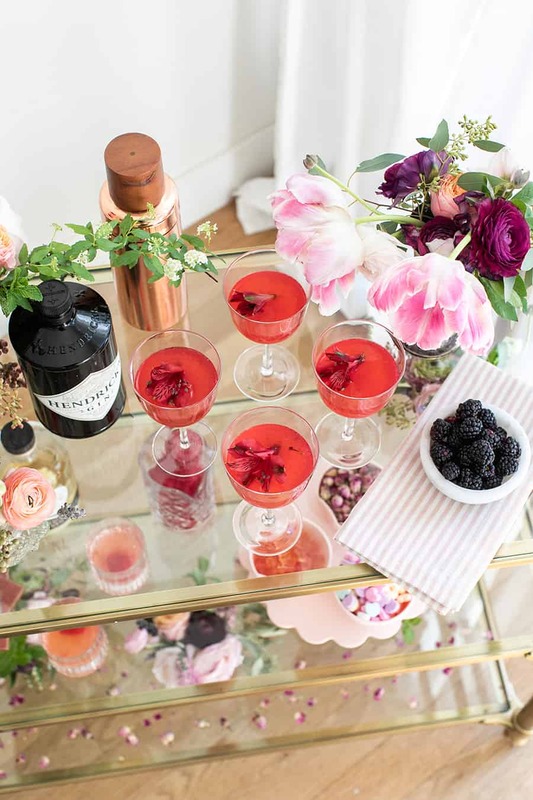 There is noting better than arriving to a party and the cocktails are ready to grab! 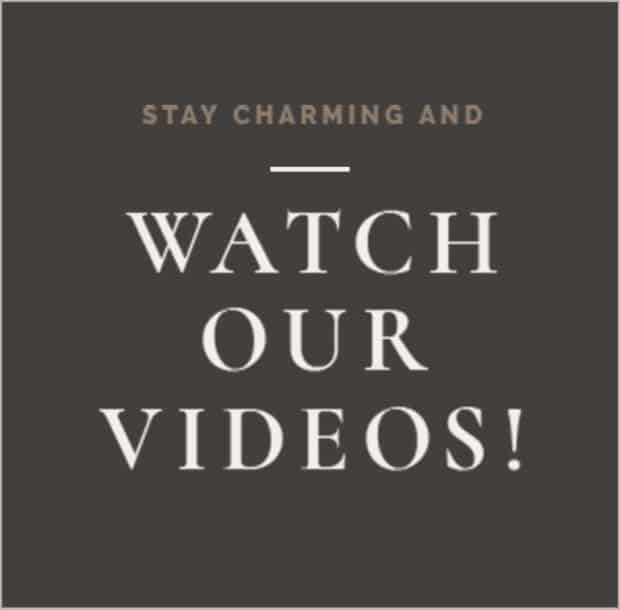 It’s the best way to welcome your guests! For a charming touch we added a pink hibiscus ice cube to the Whippet Cocktail. When it melts, the hot pink stays on the top and looks gorgeous! 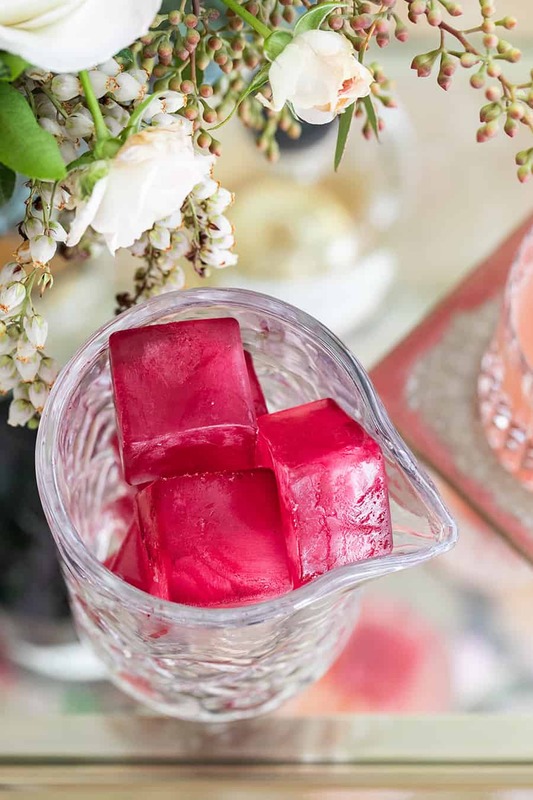 See how to make naturally dyed pink ice cubes here! 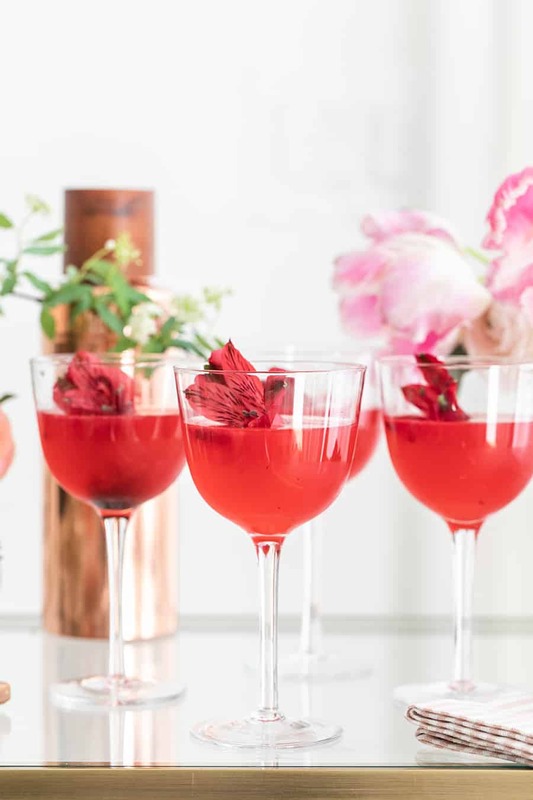 Here is the recipe for the Whippet Cocktail it’s light, refreshing and has floral notes! These are my very special Waterford old fashioned glasses. 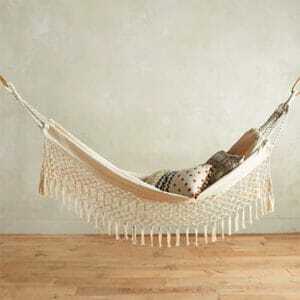 They’re pricey, but I have four of them and we actually use them often. And yes, I am always afraid they’re going to break!! 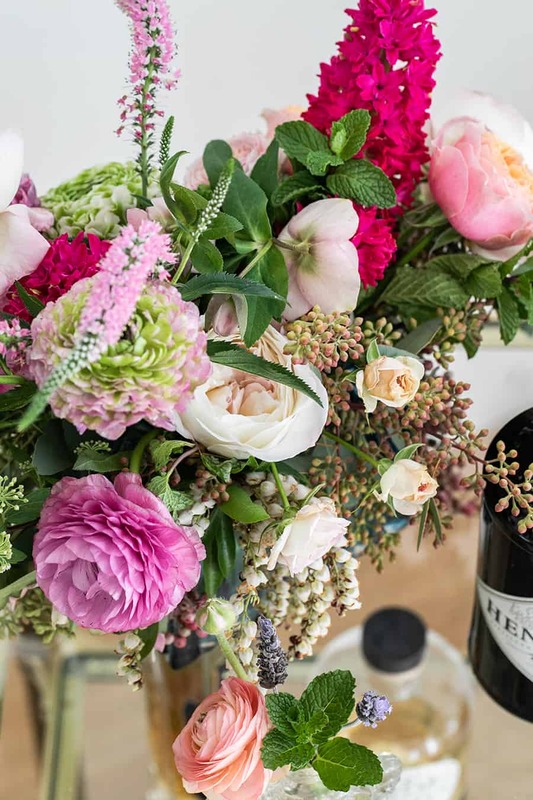 For the flowers, you can make mini arrangements from grocery store flowers in small vases. I always find inexpensive vases at antique malls or even dollar stores! 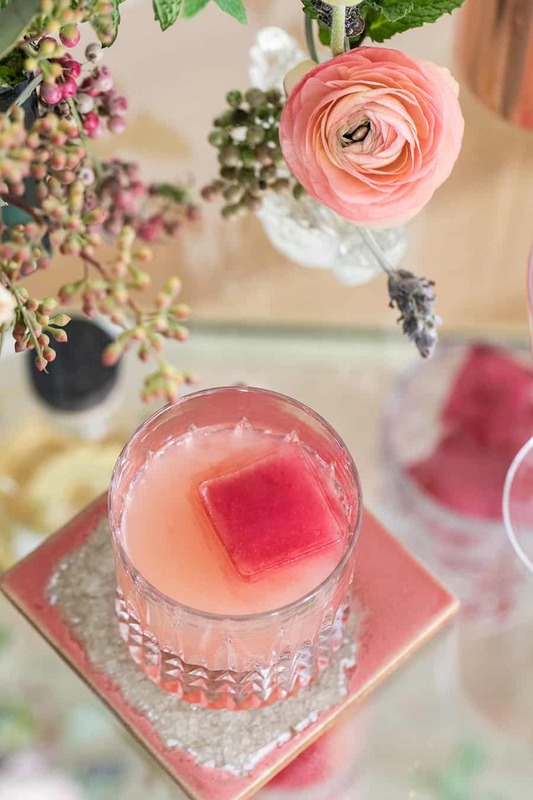 Coupe glasses are from Pottery Barn, bar cart is from Williams-Sonoma, pink napkin from Pottery Barn, pink serving tray Sugar & Cloth, copper cocktail shaker from Target, pink coasters from Anthropologie… these are similar. We added a few of our favorite candies to the bar too. 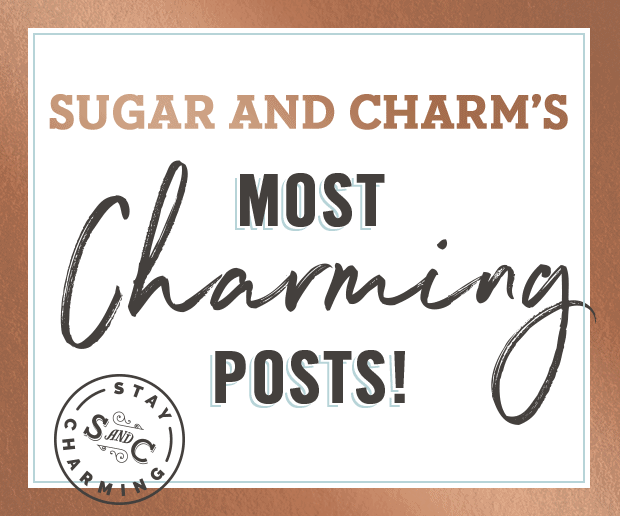 You never know when a guests needs something sweet! A fresh, light cocktail with floral notes. 2.5 ounces lavender simple syrup to make this, simmer 1 cup water, 1 cup sugar and 2 tablespoons dried (food grade) lavender in a sauce pan until the sugar has melted. Let it sit for 10 minutes to infuse, then strain the lavender out. Once the lavender simple syrup is made, muddle the black berries on the bottom of the cocktail shaker. You'll need a large cocktail shaker to shake this recipe since it's for 4 cocktails. Add in the rest of the ingredients and shake really well with ice for at least 30 seconds. 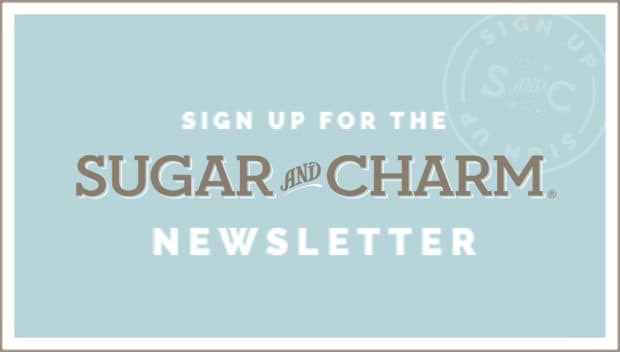 If you need to split the cocktail batch up to get a good shake, do that. The water is really important in this cocktail, so make sure the ice melts while you shake to dilute the cocktail. Strain the cocktail over a coup glass and divide between four glasses.